Do you have migraines, or other types of pain, and are tired of experiencing that physical pain, either most days or more often than that? Are you medicating your body when in pain? Are you tired of doing so? Fortunately, there is another way to take care of your pain. At Creative Life Sciences we have created healing approaches that use our proprietary techniques, which are focused on rapid, thorough, and long-lasting results. How is this possible? Let’s start with what pain is, as we “see” it. Pain is caused when the flow of Universal Energies are blocked as those Energies go through the body. The more severe the pain, the bigger the block is. 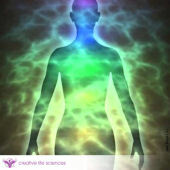 When we have someone who comes to us with pain, whether it is focused in a specific area in the body, such as a migraine headache, or unfocused, such as in the case of Fibromyalgia, we complete a scan of that individual, “reading” and interpreting the first three layers of the individual’s Aura Field. This gives us an explanation of the pain, a cause for the pain, and a way to minimize or resolve it. This process may take some time to complete – it needs to be thorough and conclusive in order for the “fix” to take place. After we have finished the scan as described in the above paragraph, we take a moment to understand if the particular cause has been brought into this lifetime from a previous one, or if it began in this lifetime. We then search more broadly to see if there is something other than the first layer of the Aura Field that is connected to that pain. When we have this information, we prepare the client to receive the assistance of our SiddhuPrana™ proprietary energy balancing techniques. Once that preparation is in place, we utilize one or more of our uniquely designed protocols to begin the “repair”. Following the completion of that process, frequently the pain begins to “travel” away from the localized part of the body to another part of the body temporarily, and then it begins to minimize or dissipate. If the pain is not localized, then we find that the overall pain begins to diminish in intensity. In either situation, we have found throughout the many thousands of people we have worked with that, for most, the pain is forever gone either during that session, or within a day or so afterwards. It should be noted that in our experience, we have observed that for some individuals the pain needs to be more gradually diminished over the course of several follow-up sessions.